One of the major challenge before the Election Commission (EC) is to conduct fair and hassle free elections and maintain the reliability of the Electronic Voting Machines (EVMs). In order to help the EC conduct 100 percent fair and free voting, IIM Indore’s alum Neeraj Gutgutia (PGP 2005) has created a mobile based solution—which is several generations ahead of EVMs in terms of technology. 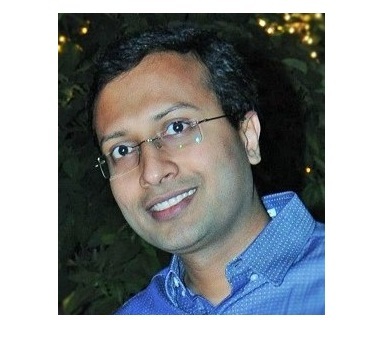 Neeraj is the Co-Founder and CEO of his venture—Right2Vote Infotech Pvt. Ltd., which has come up with a mobile app to enable EC to make the voting process smooth and accessible to everyone. ‘Right2Vote is the world’s First Mobile Verified Voting Platform. With this platform we aim to revolutionize the way voting happens across the world. We are using Aadhaar for biometric verification over mobile. Our mission is to ensure that during 2019 General elections in India, voters are allowed to vote from their mobile handsets using Right2Vote platform so that NRIs, Soldiers, Migrants etc. who are not able to vote today are also able to vote’, said Neeraj. Right2Vote is in talks with two state election commissions as well as the Election Commission of India for a pilot project in two states. The project may run in Madhya Pradesh during September. Noting that only those voters can use Right2Vote app who have enrolled through Aadhar—and the app automatically links to Aadhar server with the biometric details. After receiving a positive signal, the voter can cast a vote. This process will take less than two minutes and help a large number of people cast votes in short time without any obstacles. Apart from political election the platform would also be used for other elections like professional body election, shareholder election, club election, housing society election, college election etc. IIM Indore student body (SAC) election due in end of July would also held on this platform. Right2Vote is also in advanced talks with The Institute of Chartered Accountants of India (ICAI) for their members election due in 2018. IIM Indore congratulates Neeraj for his innovative app and wishes him for his future endeavors.